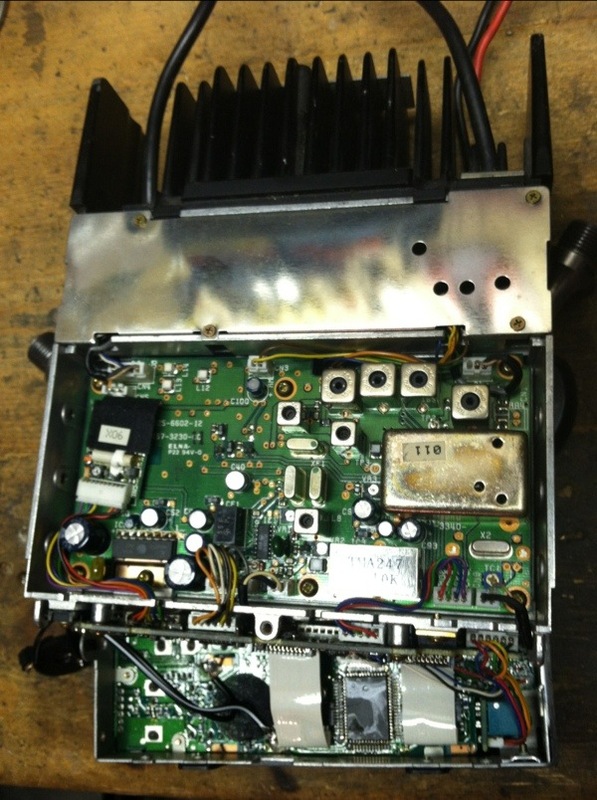 There were two modifications which I wanted to make to my newly acquired Kenwood TM-721A dual band radio. 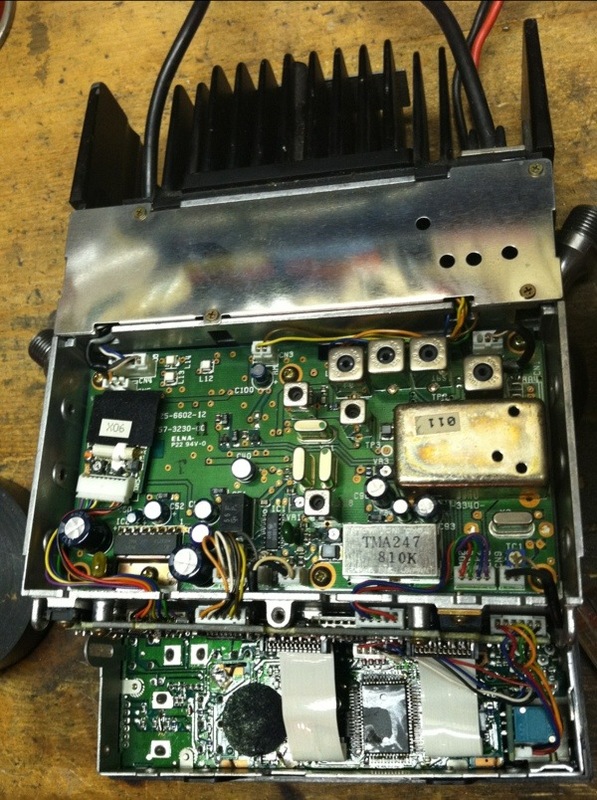 The main goal to replace and relocate the battery, as it is soldered to the front control board. And while I was in there, I’d enable crossband repeating, as the resistor R121 which needed to be removed is near the battery. I had to remove twelve screws to get the top and bottom panels off. Then six more screws to remove the front panel. Then I could swing the front panel down, unlike my Kenwood TM-241A where I had to remove all the knobs and locknuts in the front. I found the battery, but the R121 resistor (which was supposed to be to the lower left of the battery) that I needed to remove to enable the crossband repeating was gone! Why didn’t I think to check to see if crossband repeating would work BEFORE I opened up the radio? I knew this thing had been taken apart before, because I bought it with the tone decoder and display upgrade already installed! Well, since I’m in here anyway, might as well remove the old battery. It had 2.4V, still pretty decent, but the soldering iron was already warm, so…. 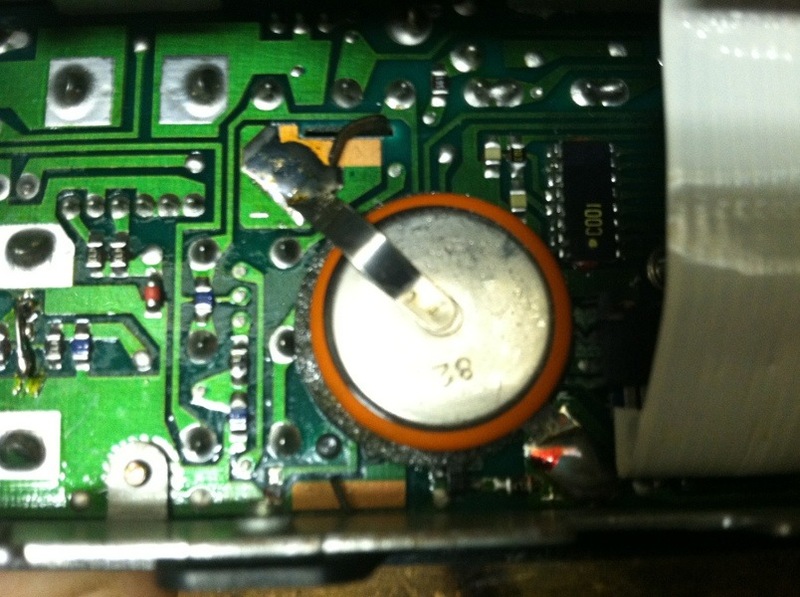 … I soldered the Radio Shack CR2032 battery holder to a piece of wire, and then soldered that wire to the board. 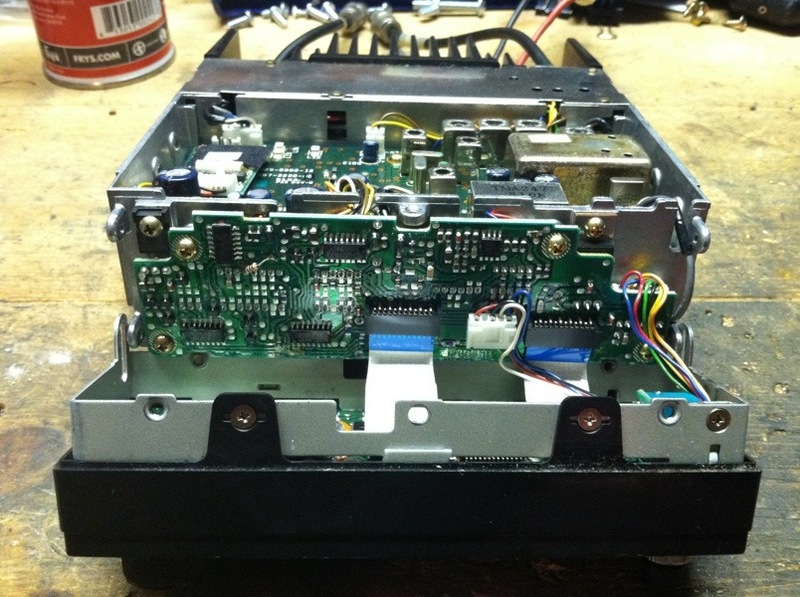 Then I put the front panel back on, and I relocated the battery to the bottom compartment of the radio, as the top compartment is a lot more congested with the speaker. I used a Dremel tool to carve out a groove in the metal for the wire to fit as it left the front compartment and entered the bottom. And lots of electrical tape around the battery and its holder. I put it all back together, did a hard reset by holding the “F” button while turning the radio on, saved a couple of memory presets, turned it off, crossed my fingers, turned it back on, and … success, the presets stayed intact! I checked the crossband repeating function and that also worked! 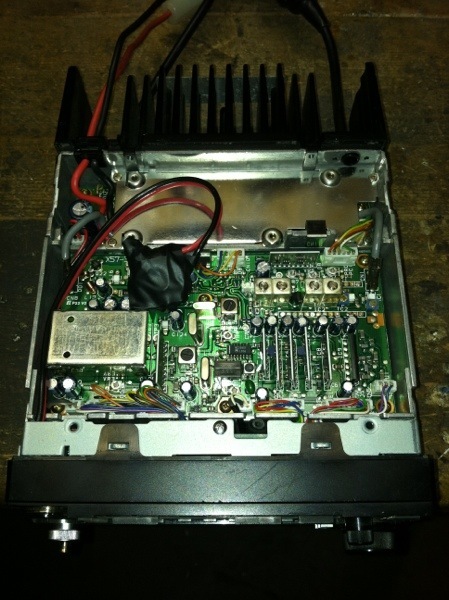 Update 25 October 2012: I had moved the TM-721A to the car, so I just picked up a Kenwood TM-731A to replace it in the “shack”. 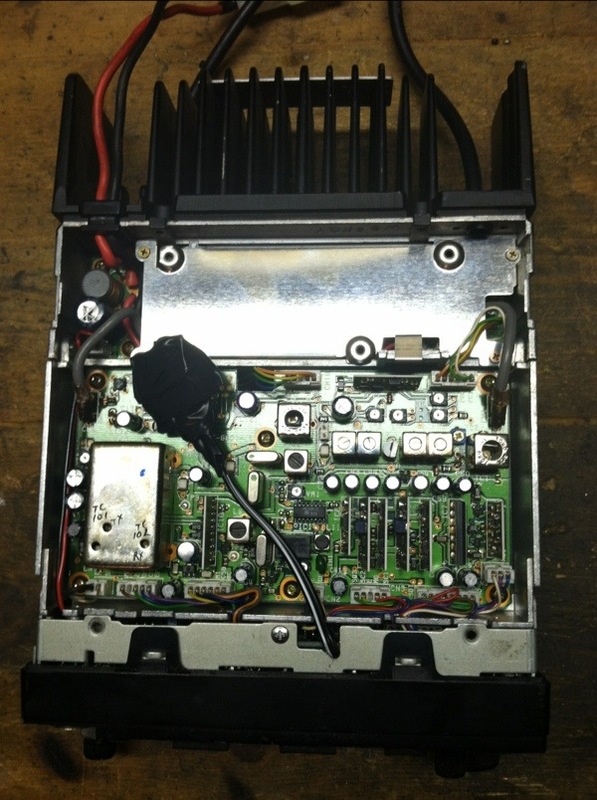 I found a way to route the battery wire to the bottom of the radio, even with the thicker gauge wire I had lying around. The only difference was that I had to hold the “MR” button while turning the radio on in order to do a hard reset. This entry was posted in Radio on June 11, 2012 by BikingBrian.